At the recent Athlon Outdoors Rendezvous, we got time on the range with the new Daniel Defense DDM4V7 Pro. Purpose-built for the sport of 3-Gun, the DDM4V7 brings several high-end components together in a complete package. For fun or sport, the Daniel Defense DDM4V7 really delivers. An 18-inch cold hammer-forged rifle serves as the heart of this rifle. Shooters solidified the 18-inch length as the most versatile choice for the sport, being nimble on short courses yet capable of meeting the long-range demands in most 3-Gun matches. The 15-inch MFR 15.0 M-Lok rail saves on weight, yet provides plenty of attachment points. Meanwhile, a BCM Gunfighter Charging Handle provides ample purchase for manipulation around primary optics. A Muzzle Climb Mitigator compensator regulates both felt recoil and muzzle rise, enabling faster follow-up shots. Additionally, Daniel Defense’s own buttstock and pistol grip provide solid furniture. A Geissele automatics Super Dynamic 3 Gun Trigger, one of the more popular single-stage components on the market, delivers a championship-level break. Certainly, we’ve used several of these triggers in our own guns; they don’t disappoint. Finally, one of the cooler features of the rifle is both cosmetic and utilitarian, as the DDM4V7 is finished in Daniel Defense’s Rattlecan pattern. The blend of DD’s Tornado and Mil-spec Cerakote finishes is truly unique. For more information, visit danieldefense.com. 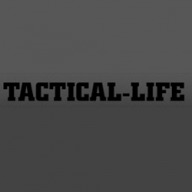 The post Video: Taking the Daniel Defense DDM4V7 Pro Rifle Out for a Speed Spin appeared first on Tactical Life Gun Magazine: Gun News and Gun Reviews.